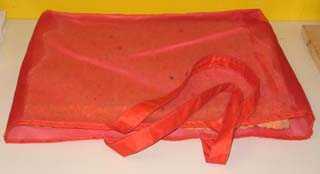 When I have to fly I take a small foam wedge which I carry around in a shopping bag. I position the wedge so the thick end is at the rear and there's a 2" gap near the seat back. 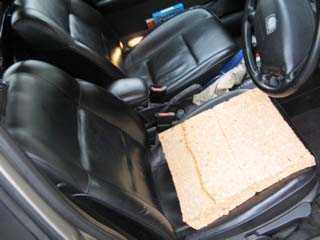 In my car I use a foam wedge which is positioned to leave a 2" gap at the back. I can drive 100 miles on this without (much) discomfort. 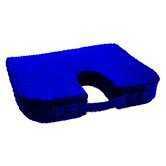 This is quite firm, chunky foam and very durable. I haven't covered it and it's not flaking apart even after more than a year of daily use. It cost me 5 GBP (about $10) at the local market. 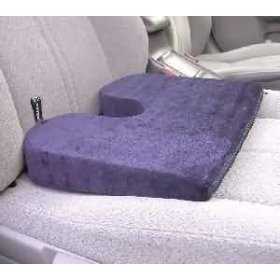 It's called a "car seat wedge". In my office I use a similar foam wedge with a large "V" cutout. I shoved it into a "Tygan"* bag. 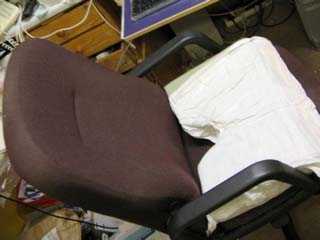 This is not quite as effective but more comfortable for long-term sitting but I spend most of my day on it so it can't be that bad! 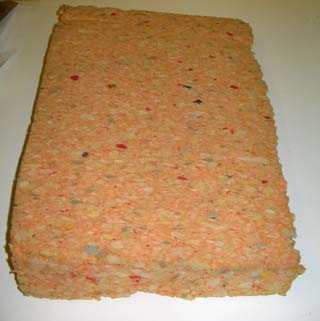 *("Tygan" is the material used to make really strong mailing envelopes. This one is a big mailing bag that arrived with something my wife ordered from a catalogue). A cushion I found advertised on Amazon.com (no longer available).